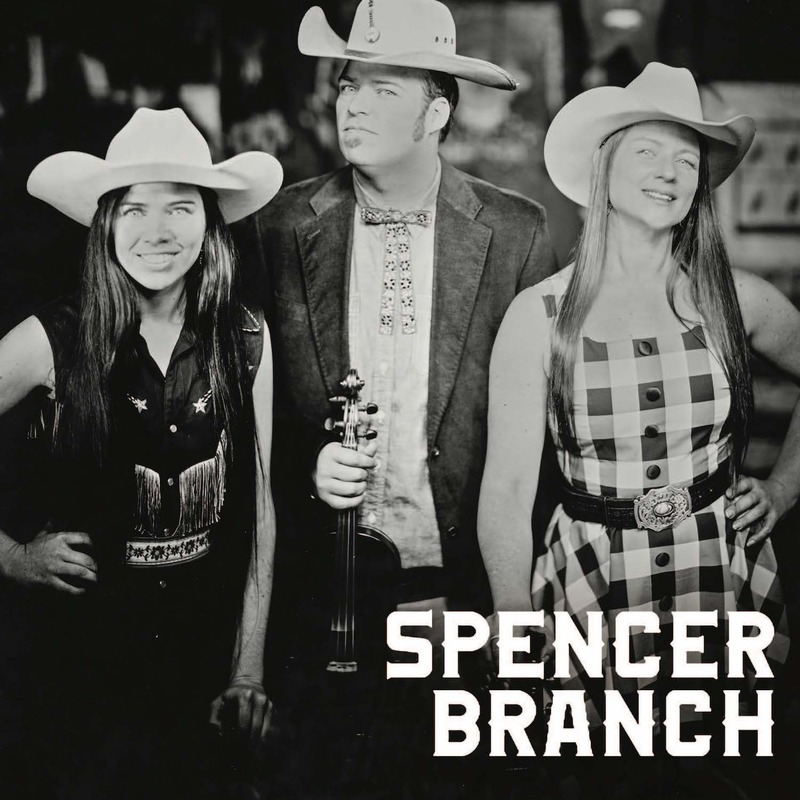 Spencer Branch is the collaboration of siblings Martha and Kilby Spencer from Whitetop Mountain along with North Carolina native Kelley Breiding. They play music drawn from their mountain heritage in addition to traditional country, bluegrass, and a healthy dose of original songs. Their vocal harmonies and exciting fiddle tunes are a powerful combination sure to keep you entertained. Kilby Spencer is an award winning fiddle player in both old-time and bluegrass styles as well as a sought after guitar player. He has been playing old-time music for most of his life, learning from his parents, Thornton and Emily Spencer, who have been performing in the Whitetop Mountain Band for over 40 years. Kilby has also collected and digitized rare local recordings for many years and serves on the board of the Field Recorder’s Collective, who mission is to preserve and release rare field and home recordings. Kilby also formed his own award winning band over ten years ago, The Crooked Road Ramblers, who have played many prestigious venues such as The National Folk Festival, The Richmond Folk Festival, and Floydfest. Martha Spencer also grew up on Whitetop Mountain immersed in the musical Spencer Family and has been playing music and dancing since a very young age. She is a multi- instrumentalist, playing guitar, banjo, fiddle, bass, mandolin, and is also well known for her flat foot dancing. She has taken part in master workshops on dance at the National Folk Festival, Australia’s Woodford Folk Festival, and the Lowell Folk Festival and been featured in various other festivals and workshops across the USA, UK, Australia and New Zealand. In 2006, Martha and her father, Thornton Spencer, took part in the Virginia Foundation of the Humanities Master/Apprenticeship Program for the old time fiddling tradition. Martha is very active in passing on music and dance traditions to local youth as well, teaching in the Junior Appalachian Musician program in the Ashe and Alleghany Counties of NC. Martha is also a full time member of The Whitetop Mountain Band. A native of NC, Kelley Breiding is known by many as “the girl with the big voice” having led her own traditional country band, Kelley and The Cowboys, for over 10 years now. After a childhood of singing and playing piano, Kelley became interested in traditional music of Appalachia as a teenager and quickly became interested in the guitar and claw-hammer banjo. Today Kelley is recognized as an award winning banjo player specializing in the roundpeak style, which she learned by living for over a decade in the heart of roundpeak, NC and playing with the old time band Back-Step. A talented singer and multi-instrumentalist, Kelley has done workshops and performed at many festivals with artists such as Jimmy C. Newman, Dale Watson, Donna The Buffalo, Peter Rowan, Tim O’Brian, The Quebe Sisters, Deacon John, and Ralph Stanley.